I want these! When will they be out? Zero drop cushioned trail shoes are what I love! Can't wait to get some! I want these (problem is, I want them now). One shoe to "rule them all" has been my search, but nothing was quite up to it although I thought I had found it with the improved NB MT00. These are very nice, comfy, light weight, good traction, but maybe not for racing? This is the 2nd trail race for me (first in Vibram Spyridon) where I really needed some mercy for the downhill rock damage my feet took. Never notice this sort of thing during training, but under race conditions where bombing is a must )if you want to win) I just don't think I want to stay as minimal as I have. Would never get the Lone Peak but these look great. Hope they get released soon. S lab sense will be my second choice. Locally, they are all sold out and I hear that sizing is tricky so can't order them on-line. 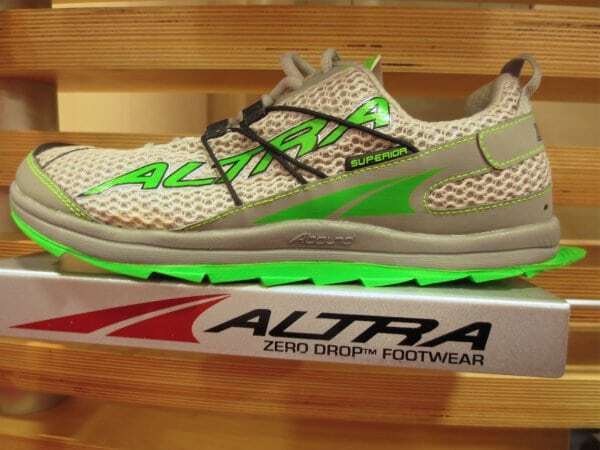 Hurry Altra, hurry. Just got these yesterday. Haven't had a chance to run, but did wear around work all day. Felt great. Pretty light and very flexible. Size is about a 1/2 small. I tried on Instincts 1.5 and the 10.5 was a little snug. Ordered the 11 and it fits perfect. Can't wait to get them dirty this weekend.